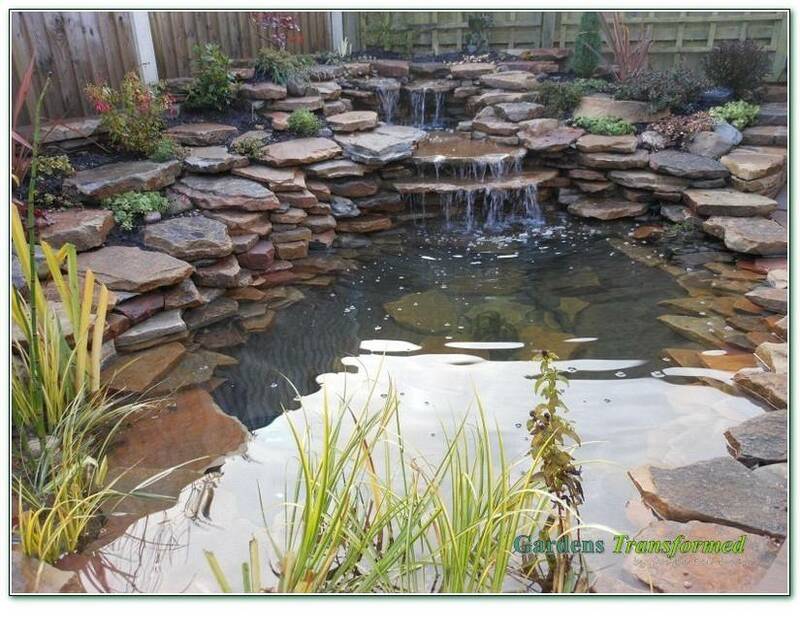 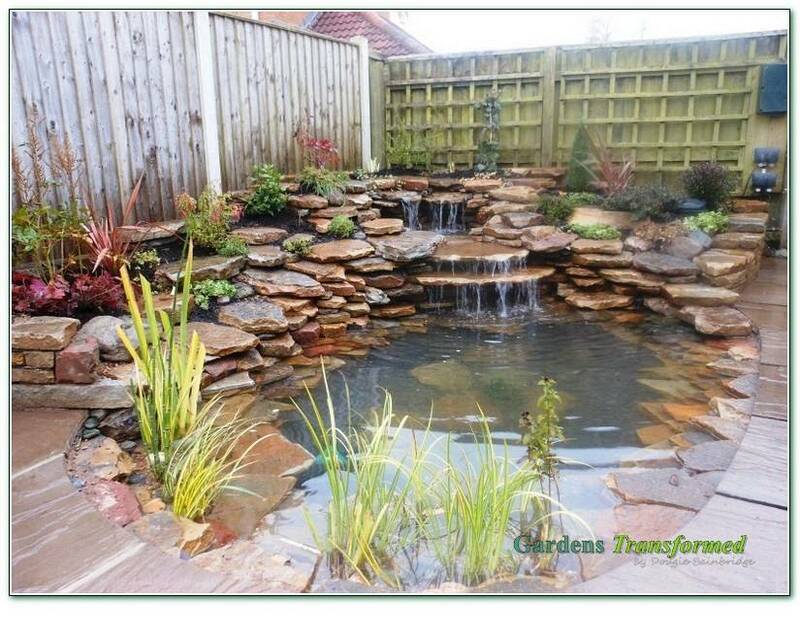 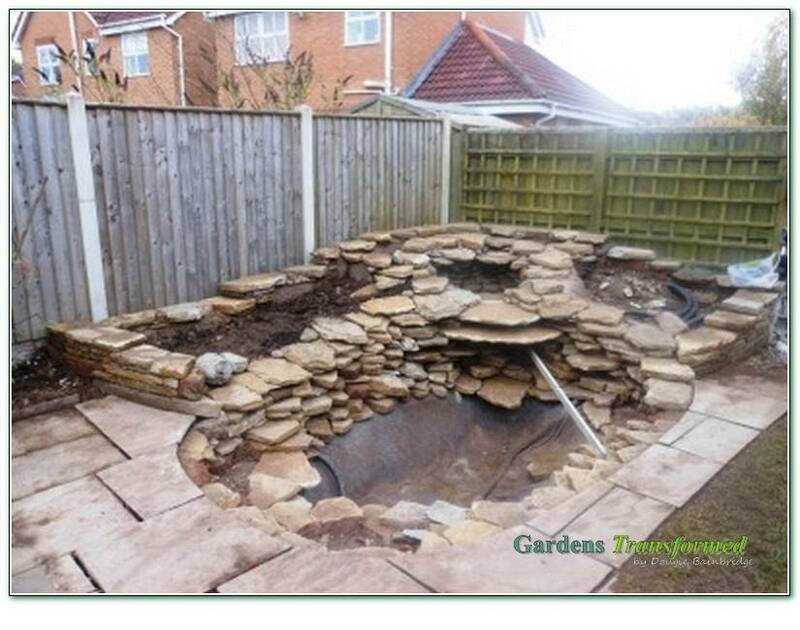 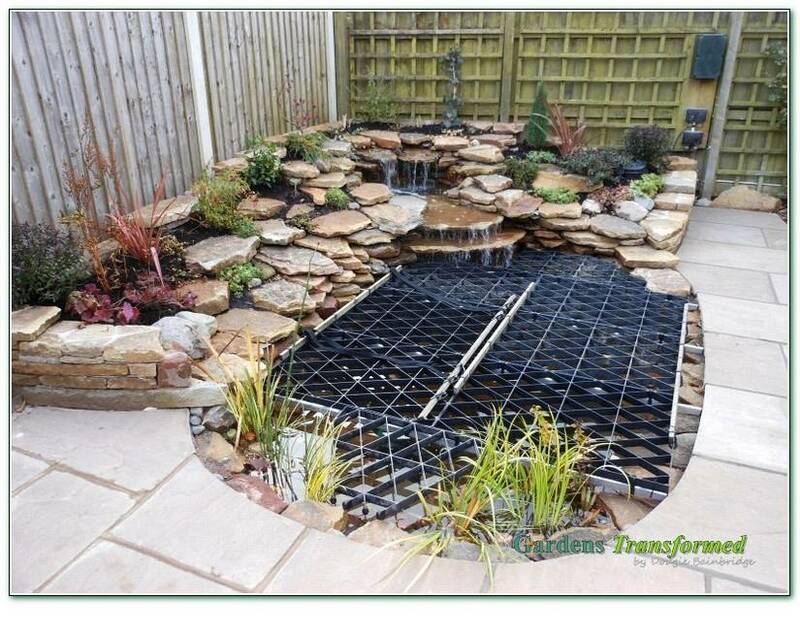 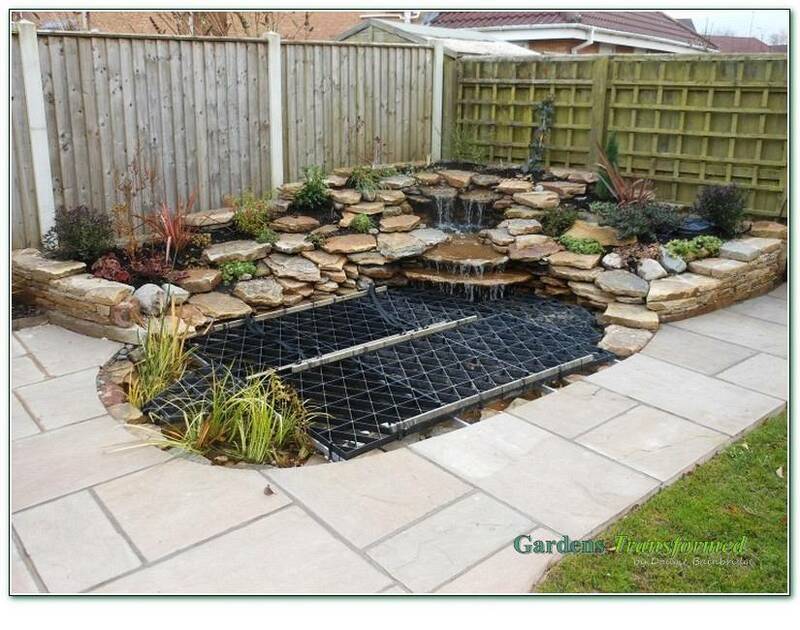 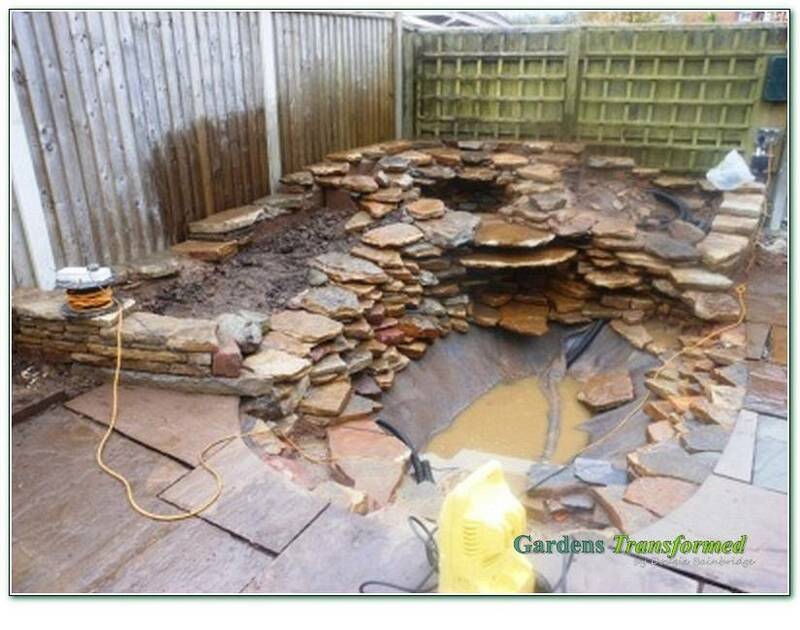 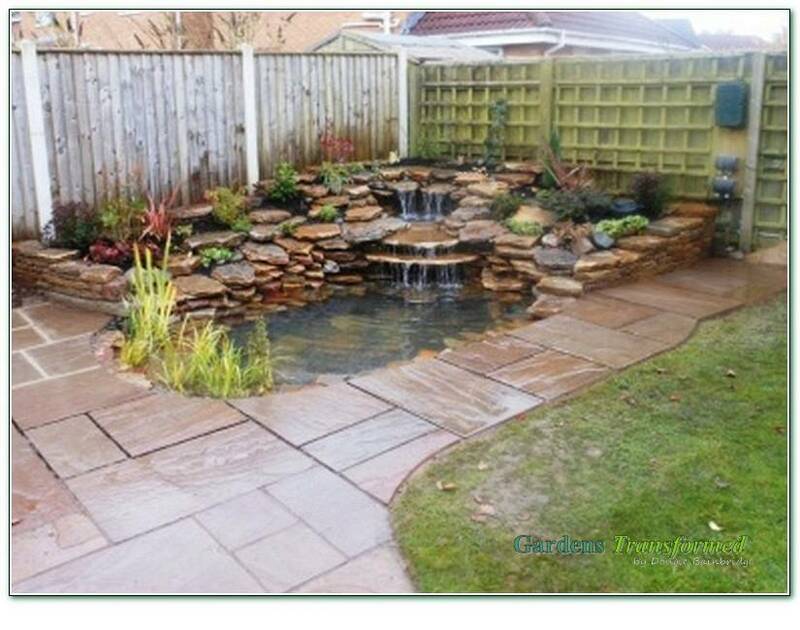 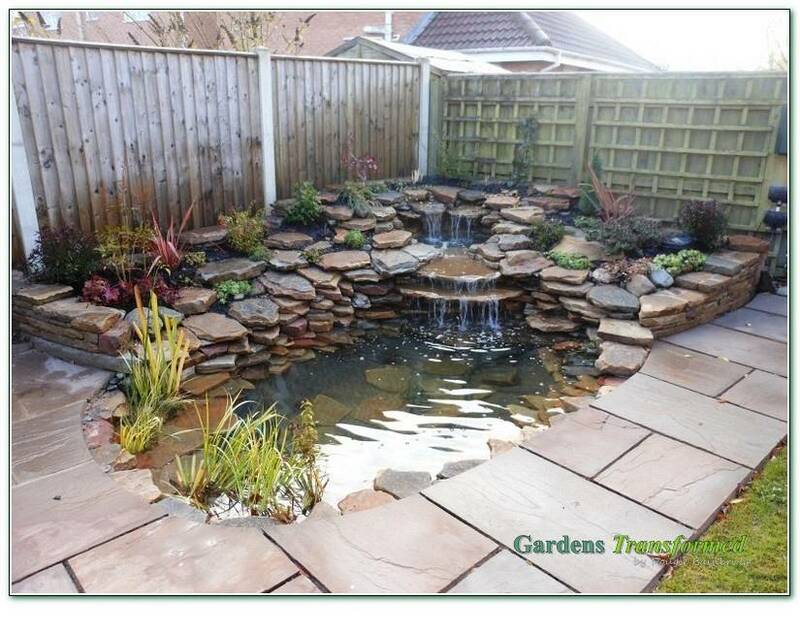 Clients had previously undertaken a contract with a local landscaper to create a natural style water feature, with the patio lipping up to it. 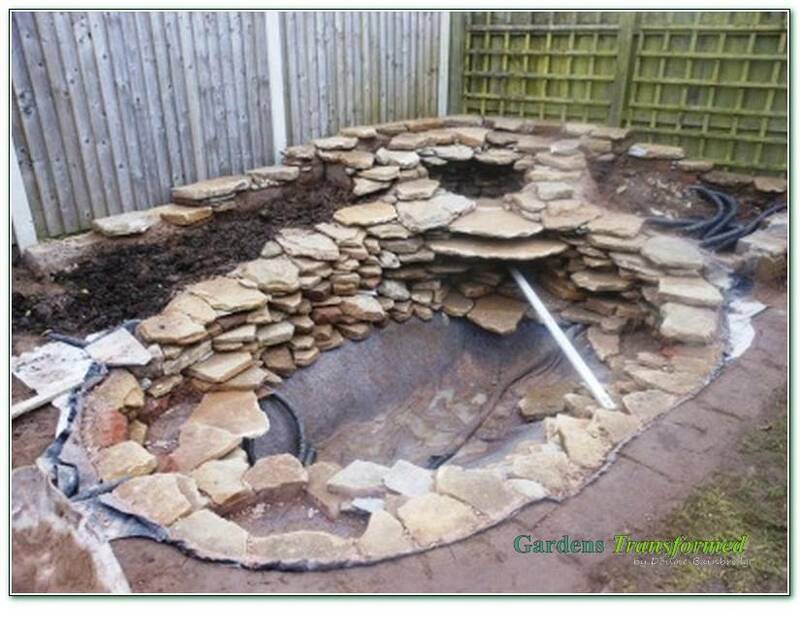 Sadly the end result, with respect, lacked any creative idea, was of poor workmanship and to top it off it leaked. 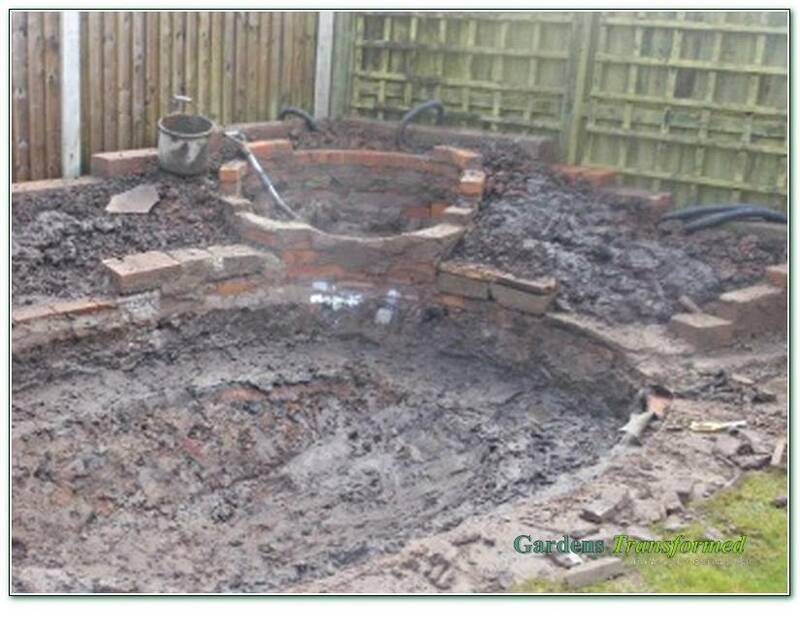 Not so good! 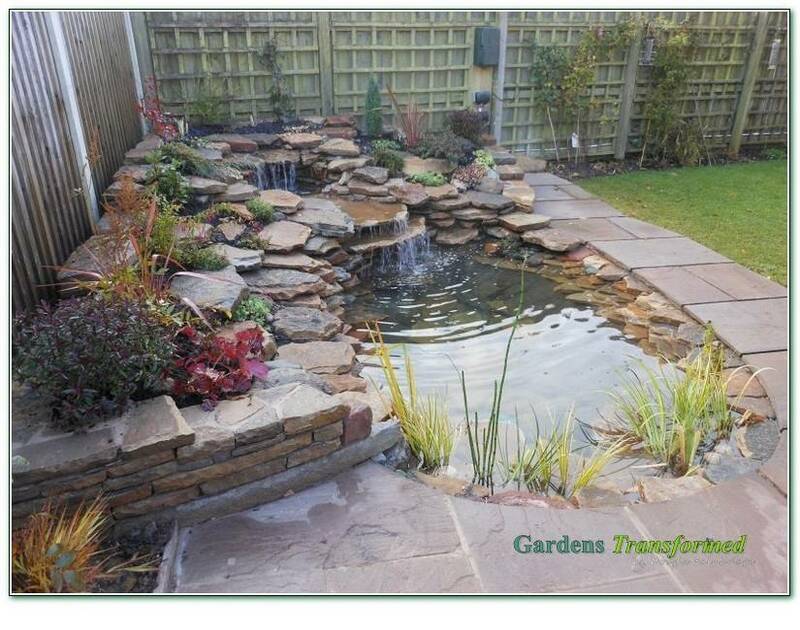 Clients viewed our website and with some excellent upfront work together, we created a new plan and concept to totally remove the old feature and create a tailor made new feature to meet our clients wishes, shape, size, style and function. 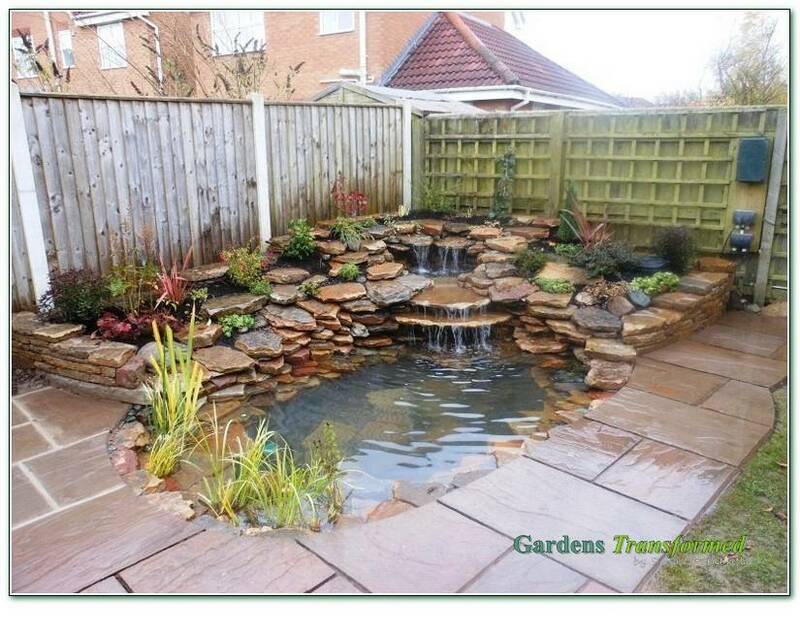 Great care was taken upfront to save all the fish both mature and babies. 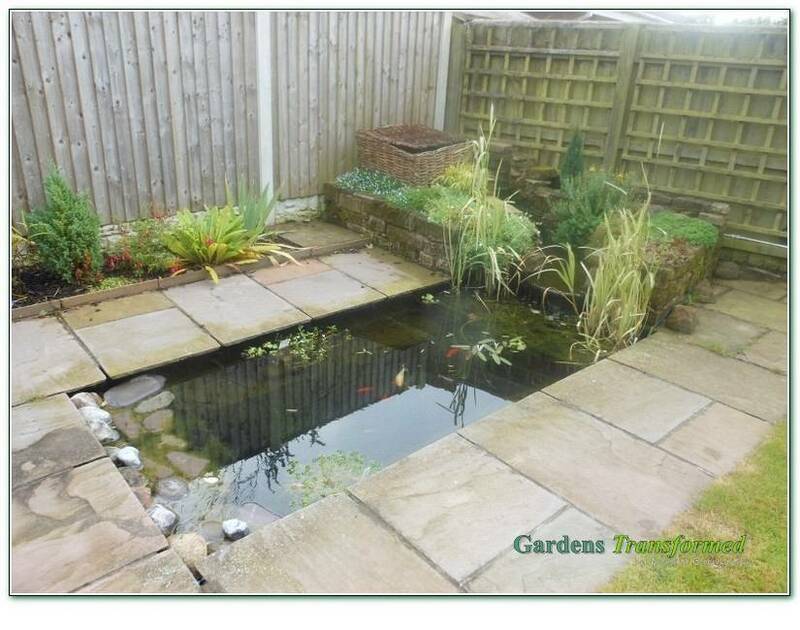 The effort was well worth it as the later pictures will show the fish discovering their new home! 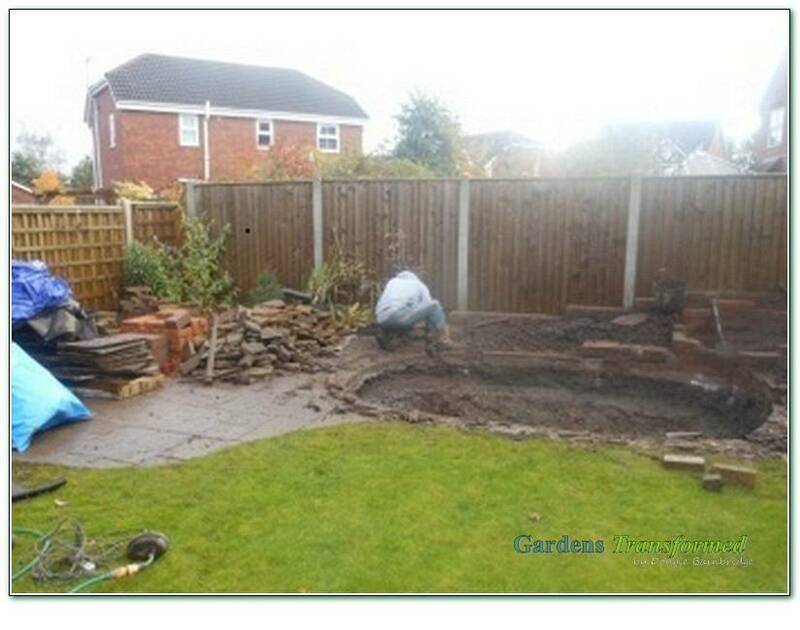 Here is the story from start to finish, in the constant rain as usual!